A very nice image Stephany, photographing glass requires the play of light and shadow to create the definition of the sides and rims of the objects. The photography group I am a member of had a meetup on glass a while back. Thanks so much for the compliment, Dwayne. I also like the complexity of patterns within the glass when there is a strong contrast between light and dark. 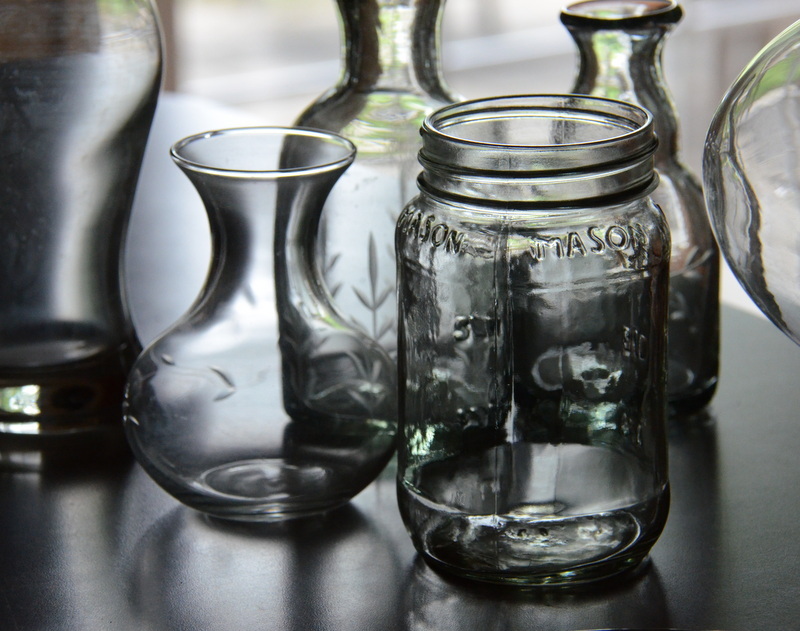 I’d love to see your images of glass. They are probably more thought out than mine. You’re welcome. I love being surprised by the beauty of everyday objects, too. Accidently finding this composition on my kitchen counter was a treat. Thanks for taking the time to comment. Great picture – I like the contrast! A lovely image Stephany and I like the way the curves in the glass reflect the greenery from outside. Green is my favorite color and I didn’t even see it in the glass until I uploaded the images into the computer.